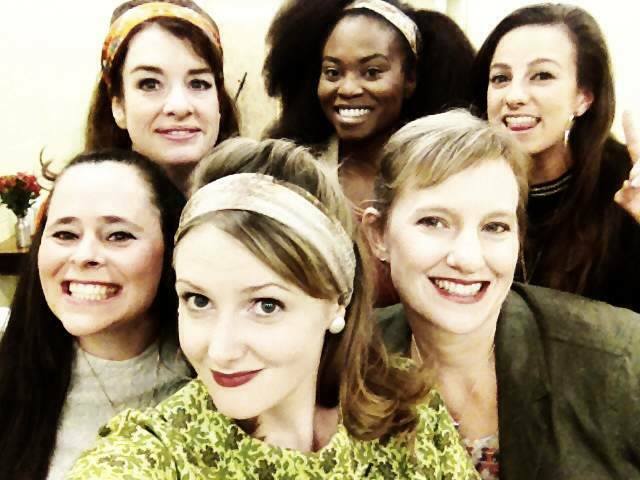 Amy Miller and cast. 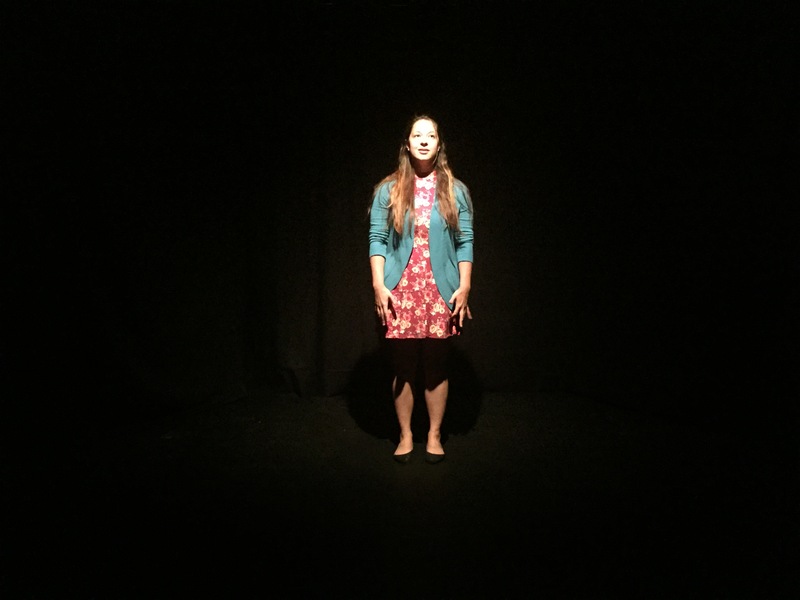 Photo: Theatreworks of So In. Entire contents are copyright © 2019, by Annette Skaggs. All rights reserved. It is a rite of passage for any school-aged child: the spelling bee. Memories of standing in front of your classroom, spitting out consonants and vowels, that somehow come together to form words. Sometimes the assemblage of letters is correct, other times you hear the dreaded bell of shame announcing to the world that you have misspelled a word. Believe it or not, these bees are highly competitive and can lead to lucrative prizes, such as at Scripps National Spelling Bee. Even The Peanuts’ Charlie Brown made it to the final round of the Nationals, but alas he missed the word “beagle”. But, before you can get to Washington, D.C. you have to surpass many hurdles; that is the story of The 25th Annual Putnam County Spelling Bee. Set within a school gymnasium with a nuclear power plant in the background, seven youngsters compete to reach the big contest at our nation’s capital. Chip Tolentino (Alex Roby), Logainne Schwartzandgrubenierre (Amy Miller), Marcy Park (Peighton Radlein), Leaf Coneybear (Noah Kelso), Olive Ostrovsky (Maren Gosman), and William Barfée (Jareth Gaddis). Assisting the students in their quest are proctors Rona Lisa Peretti (Taylor James Torsky), a former Putnam County Spelling Bee champ, Vice Principal Douglas Panch (Mike Price) and Comfort Counselor Mitch Mahoney (Anthony David Ward). As each student makes their way to the microphone we learn something about them as Ms. Peretti reads off fun facts about each contestant. Chip is a Little League baseball pitcher that throws a 26-mile per hour curveball and is highly competitive. Logainne is the president of the LGBTQA+ Alliance at her school. Marcy is an overachiever. Leaf is homeschooled and is present at the bee because the first and second place winners from his previous competition had to attend a Bat Mitzvah. Olive is a very smart and sensitive young lady with unorthodox home life. William suffers from a multitude of ailments and has a last name that repeatedly gets mispronounced. 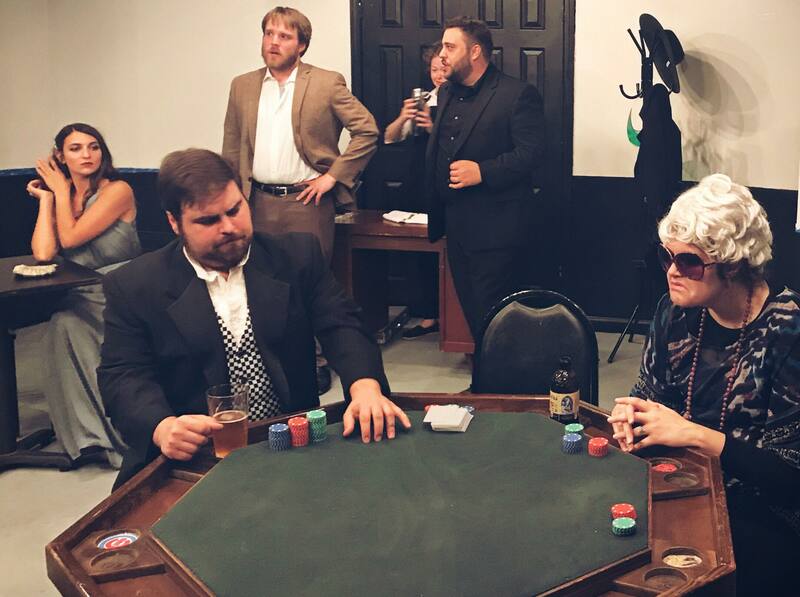 I think TheatreWorks of Southern Indiana has quickly built a reputation for quality. Director Jason Roseberry and musical director Hannegan Roseberry did a fantastic job in procuring the talent required for a showcase script. Each actor absolutely nailed their character’s unusual traits and did well in mimicking behaviors and emotions often found in children (and the adults, too). I congratulate Amy Miller and her choreography as well, especially with William’s “Magic Foot”. That was a tour de force of movement. Musically speaking everyone was rather good, save for a few moments where a bit more diction and/or volume could have helped, such as Marcy’s “I Speak Six Languages”. Strong vocalization from Ms. Torsky was certainly front and center, but at times I felt that she overpowered a few of the lighter moments where a softer touch would have been more effective. 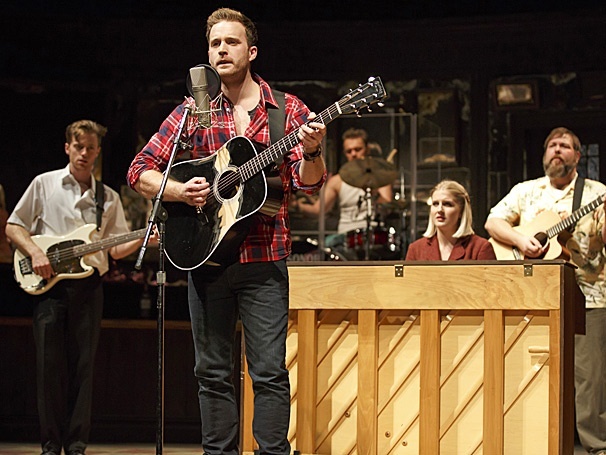 Where Ms. Torsky was a powerhouse, I think Mr. Ward could have upped his amp a bit; he seemed to get lost in the weeds sometimes. But, I will say that his depiction of the listless and ineffectual counselor was spot on. Bravo to Mr. Price on his ability to pronounce some very difficult words. I am sure many of us use Weltanschauung all the time. I really enjoyed Ms. Miller’s lisp, Mr. Kelso’s frog and innocence, Mr. Roby’s glimpse into puberty reaction, Ms. Radlein’s reaction to failure, Ms. Gosman’s effervescent optimism, and Mr. Gaddis’ magic foot. Production and design were perfect for the setting for a gym and the costumes were absolutely correct, each revealing a special aspect of each character: from Leaf’s cape to Mr. Panch’s necktie. 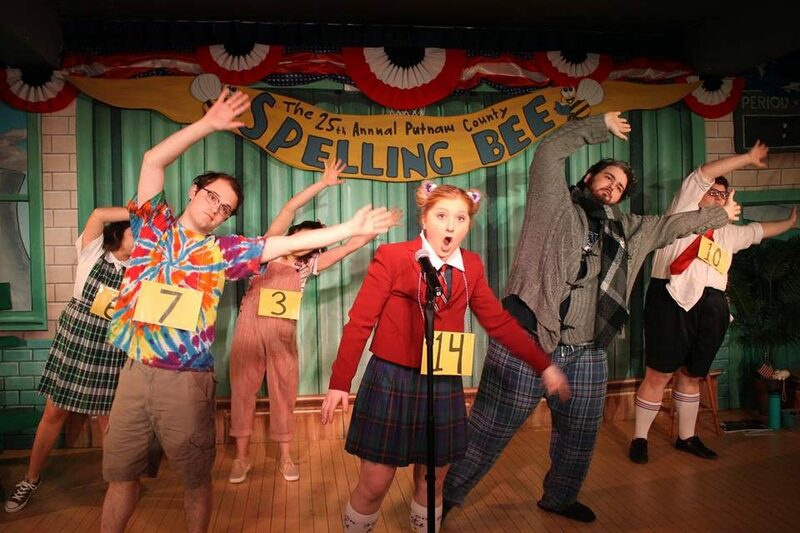 This production of The 25th Annual Putnam County Spelling Bee was filled with laughs, audience members serving as contestants, local references such as the Sherman Minton Bridge, and an honest desire for each contestant to win. But as much as you are excited about a student arising victorious there are characters within the spellers that you can’t help but wonder what exactly lies within their future, despite what the end of the show monologue says. In the end, I think we all learn a lesson: while it is great to be successful, it is important to take time to be a kid. Shaken, Stirred, Or Run Through A Blender?